A friend on Facebook pointed me towards an article in GQ about the Wythenshawe & Sale East byelection. I’m not a regular GQ reader, but the headline – Running On Anger: on the campaign trail with UKIP – and the content of the piece are worth reading. The tactics employed by UKIP are their normal ones at a byelection – work out where the discontent is to be found (in this case, with Labour), and then explain why their populist solutions are worth voting for, and if fear and bending of the facts help, then why not do that too? In essence in Wythenshawe and Sale East they hoover up the anti-politics vote, and they are effective at it. 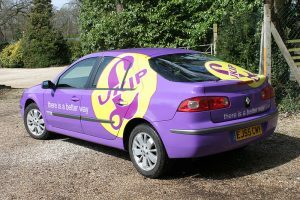 The problem as I see it is that the British political system is uniquely badly placed to deal with a movement like UKIP. The party could get 15% or more at the 2015 General Election and still fail to gain any parliamentary representation, and 2nd-place finishes in byelections in Eastleigh, South Shields and Middlesbrough contribute to that impression – that the system is keeping UKIP out. Now while I loathe more or less everything UKIP stands for, I am nevertheless, above all, a democrat – a party with that sort of base deserves parliamentary representation. The reactions to UKIP’s rise are generally inadequate. Some complain that Farage in particular gains disproportionate media coverage for a party with no MPs, but for me this holds little weight as it’s the electoral system, rather than a lack of support, that keeps UKIP out. Other complain that UKIP has no answers to the political problems that the UK faces, and while I agree that this is the case, it is not as if the three main parties of the political mainstream in the UK have many ideas either. It is this last part that merits further debate and analysis in the UK, and the analysis needs to go beyond the “they all look the same” or “none of them have experience outside the politics”. Take, for example, Ed Miliband’s party conference announcement to cap energy prices. This was described as a “game changer” if you were on his side, or “the return of Red Ed” if you were not. Both responses are wrong. The policy would make a small change within the well established confines of the UK’s dysfunctional energy market, and that’s it. Putting it another way, Miliband was playing to the narrow audience composed of the Westminster political class – and that includes the vast majority of the journalists of the broadsheet press – but that class, and indeed the people that report on it, are increasingly missing the connection to the grassroots. This is the post-democracy that Colin Crouch has so compellingly and depressingly described. Representative democracy in the UK is becoming more and more hollowed out, a shell, but the system still protects the mainstream parties, for the moment at least. So back then to UKIP, and Wythenshawe and Sale East. Part of me wonders what would happen if UKIP were to actually win there? How would the UK’s three main parties react? I fear the reaction would be turn up the critique of UKIP still further, rather than actually take a step back and better develop their own visions for the future of the UK. Yet the Wythenshawe and Sale East case, this problem of pent-up anger in British politics, is not about to go away. Would a UKIP byelection victory be a big enough shock to the cosy Westminster consensus? Or would something larger – like Scottish independence, or leaving the EU – be needed to make a lasting change? Perhaps I am too pessimistic, but I fear something is going to have to break in UK politics before things start to get better. How well will UKIP do at the EP elections? Westminster implications for the Brussels gravy train? True, although the EU does serve as an all-purpose bogeyman, mostly in relation of grievances the EU was not responsible for. I’m always amazed as to how people who don’t actually like any of the Westminster parties (which equals anyone who has ever voted UKIP) apparently want Westminster given more power. Ironically, the answer to Jon’s question might actually be leaving the EU, given that we could no long attribute our own failures to the nasty foreigners. The EU has nothing to do with it; the exact same thing is also happening in non-EU countries like the US (tea party), Switzerland (SVP) and Australia. Never had voters had more control over their elected representatives, never have politicians bowed more to every whim expressed in an opinion poll, and yet never have voters felt more alienated. “Yet the Wythenshawe and Sale East case, this problem of pent-up anger in British politics, is not about to go away”. What is baffling is you seem to fail to make the connection between our EU membership (which you support) and the alienation of the British people from its politics. By outsourcing excuctive powers to a largely unaccountable bureaucracy (which was designed as such) it was inevitable. It was a problem that was all too aware to those that took us in in the early ’70s as demonstarted by FCO 30/1048. You’re dead right that something is going to have to break, and the longer it goes on the less likely it is to be pretty. While I agree that the Westminster system is rubbish, it is noteworthy that the British people voted 2:1 to keep it as recently as 2011.